Welcome to the 2014 Electricity Engineers’ Association Conference and Trade Exhibition, the premier power engineering event for the New Zealand electricity supply industry. 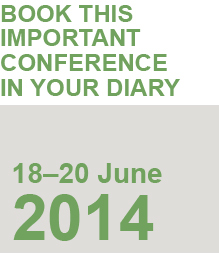 This year, over 1000 delegates and visitors attended the EEA Conference and we anticipate similar numbers in 2014. Our theme for 2014 is ‘Invest for Tomorrow – People, Process & Plant’ and it captures the key challenges of tomorrow – ensuring our current assets and ageing plant continue to provide efficient, secure and safe power supply to our end users; identifying and implementing innovative ideas and technology, new processes, markets and process improvement which will make our industry safer, more efficient and responsive to customer needs; and developing new talent to meet future challenges in our industry. The EEA Conference provides a three day national forum for power engineering practitioners and technical experts to examine and discuss industry issues; to share knowledge; and to learn about new technologies and systems in the many fields of power engineering. Delegates will have the opportunity to listen to industry leaders and technical experts from overseas and within New Zealand; visit the extensive trade exhibition – showcasing national and international companies, technology, services and equipment; participate in a range of technical, engineering and safety papers and discussion forums; and network with people local and overseas experts working in the electricity supply industry community. It is an exciting time to be in the New Zealand power industry and I look forward to you joining us at the Auckland SkyCity Convention Centre on 18-20 June.